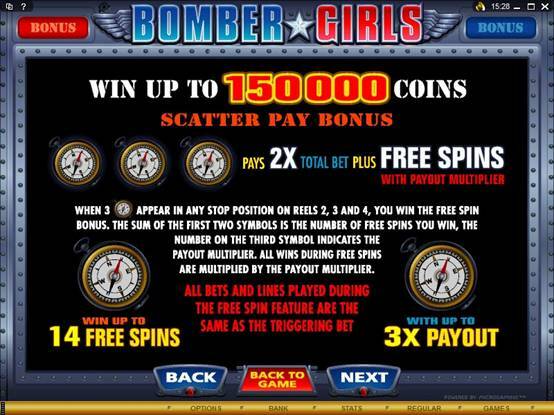 Bomber Girls is a 5-reel video slot with 20 paylines, 2nd screen bonus game and free spins (non-recurring). 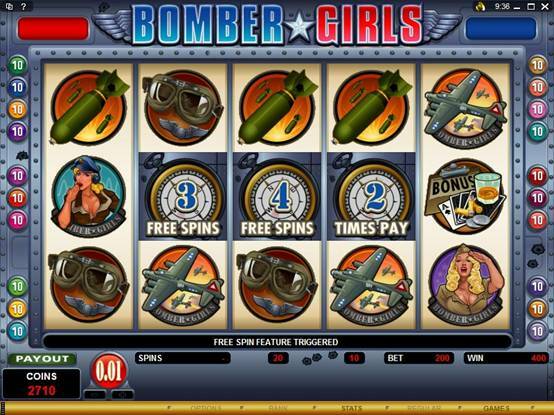 The latest big, colorful and entertaining slot at Riverbelle Online Casino offers players 5 reel, 20 pay line fast action wrapped in a theme that captures the heady "live for the moment" days of the Fighting 'Forties, with high flying bombers, women-power in the factories and beautiful flighty babes guaranteed to distract the most focused aircrew! 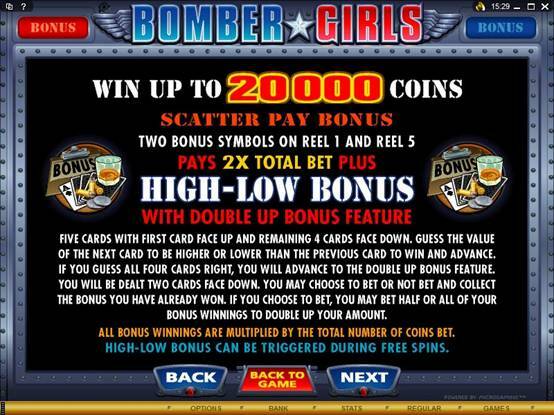 BOMBER GIRLS is a big, exciting slot that incorporates an innovative use of the American-style second screen bonus game concept and the popular Australian free spin awards, giving generous opportunities for winning and endless interactive fun. 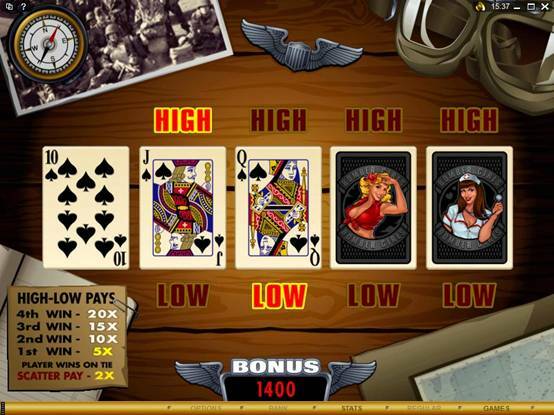 Players will find brilliantly executed graphics, great sound effects and a range of features that include Wilds, Scatters, a maximum of 14 Free Spins with up to 3x Multiplier, and a new High-Low card game with a further High-Low Gamble option. 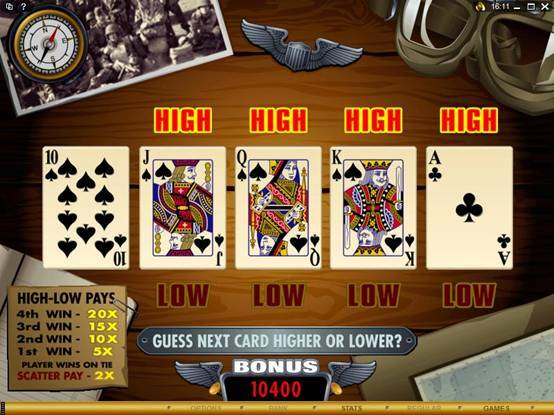 This gives the player a possible 100x bet payback if five correct choices are made. 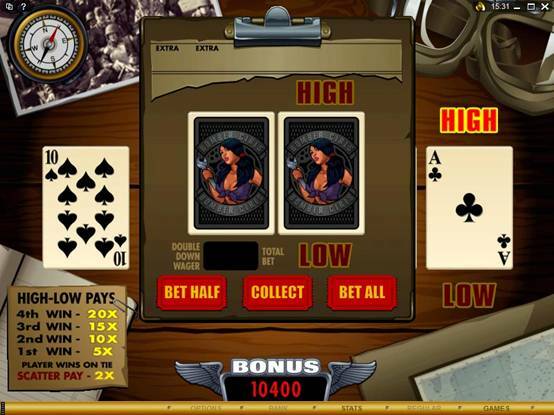 The compass can set a course for free spins aplenty in this absorbing game, whilst scatters open up the bonus possibilities. With a betting range as low as 0.01 or as high as 100.00 max bet, the successful gambler can zero in and hit targets of up to 25 000.00 in the base game, 10 000.00 on the bonus game and a whopping 75 000.00 in the free spins. 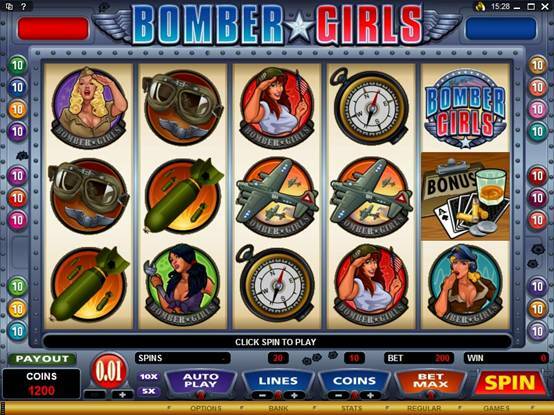 This slot is full of explosive action that will have players saying "You da Bomb!" after an entertaining session, for sure. 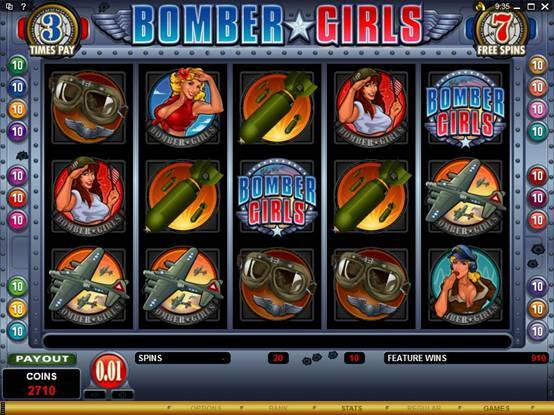 Bomber Girls is available at Riverbelle Casino right now, so set up a flight plan, rev the engines and fly there immediately to take aim at some tempting offers.